Since writing this post about a week ago, I’ve been pondering what it takes to live always near the cross. There are seven things that I think will keep us there. You’ll notice that “perfectionism” isn’t one of them. I think about the great love that held Him there, and realize that it must be out of love that I come, for this place near the cross is not an easy, comfortable place to be. It is a place of justice and sacrifice. A place of righteousness. Lingering there demands that I face all three. Not only in respect to how God exercised them in my favor, but in respect to how my identity in Christ demands I exercise them to others. and to live in humble fellowship with our God. Note: Thank you to everyone who is praying for my dad. He is still recovering from a stroke he had earlier this month. We’re facing some difficult decisions regarding his care. God is faithful. I’m getting around to visit as many of you as I can, and follow up on your encouraging comments. I appreciate every one. Thank you. Sweet, Dany! Your comments always bless me. Thank you, dear friend. I always enjoy taking my tea time with you at your lovely blog. So much that is good and inspiring can be found in your "little old world"! Blessings, my friend! It's a struggle some days, isn't it, Lisa? I think that is one of the things I love about your images, they always seem to capture beauty, even when they are of things not necessarily though of as beautiful. Therein lies your gift, my friend! Blessings! Vermont is a winter wonderland to be sure. It is very rare for there not to be snow. So have no fear, if you go, you will be delighted! JOY is a challenging word, my friend! Last October I wrote about it for 30 days - and was mightily blessed. Praying 2015 brings many blessings through JOY for you! Thank you for your kind words, Mary! It's difficult when our bodies act in a way we can't control, isn't it? Thankfully, God conquers all, and we can have JOY despite our "feelings" and "emotions". Not always easy, but always worth the effort. May your eyes see the JOY set before you, Mary. Blessings! A difficult spiritual discipline to learn, TC. Especially in times of deep sadness or grief. But God is faithful. And friends like you bring JOY on days when the beauty is fleeting and hard to find. Blessings! It's funny what we consider warm, isn't it? I can remember as a kid growing up in Vermont, people would wear T-shirts and shorts when it hit 40 degrees. It's been in the high 30's low 40's here for last 10 days or so and I'm walking around in layers, lol! But then, I'm cold natured. Enjoy the warm weather! Linda your gift of encouragement is always such a blessing to me. Thank you, friend. Such a beautiful promise, Jenni! Thank you for visiting! Blessings! Love - today's Word focus at Sacred Space + f#SONGSonSUNDAYS Welcoming you! Praying for you right now, Candace. These decisions are some of the hardest we make in this season. May your writing give you solace and strength. And don't worry about running around to visit ... we'll be here when you return. June, I am praying for you and your family, especially your dad. I know the difficult decisions that lie ahead of you, and I trust that the Lord will lead you to the best choices for your family. You always present faith in such a kind and open way that makes it easier for me to seek God. I have trouble with obedience and submission - but everyday is a new one - and I try again. Thank you for keeping in touch. 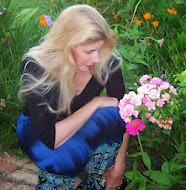 Oh almost forgot, love your photos of the roses - as they are growing naturally - bringing beauty to your everyday life! Donna, your words and your prayers bless me. Thank you. What a beautiful post, June. God's love is so amazing...I'm blown away by it and know I fall short of living it out, yet His abundant love and grace encourage me to keep seeking Him- living in His love and sharing it with others. I'll be praying for you and your family during this difficult time. I'm praying for your dad and you as well. May He lift your entire family up. Thank you, my friend. Prayer matters, and God listens. Your prayers, and those of others are making such a difference. There are times of peace a midst the sadness. Thank you for your prayers, Floyd! God holds us close even when our worlds are turning upside down.